After telling an audience that young people today "think work is a four-letter word," Sen. Hillary Rodham Clinton said she apologized to her daughter. Clinton spoke to more than 2,000 graduates days after she criticized young people at a gathering of the U.S. Chamber of Commerce in Washington. In those remarks, she said young people have a sense of entitlement after growing up in a "culture that has a premium on instant gratification." 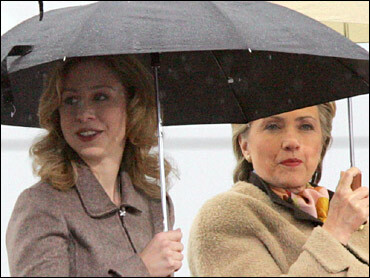 "She called and she said, 'Mom, I do work hard and my friends work hard,"' Clinton said Sunday.